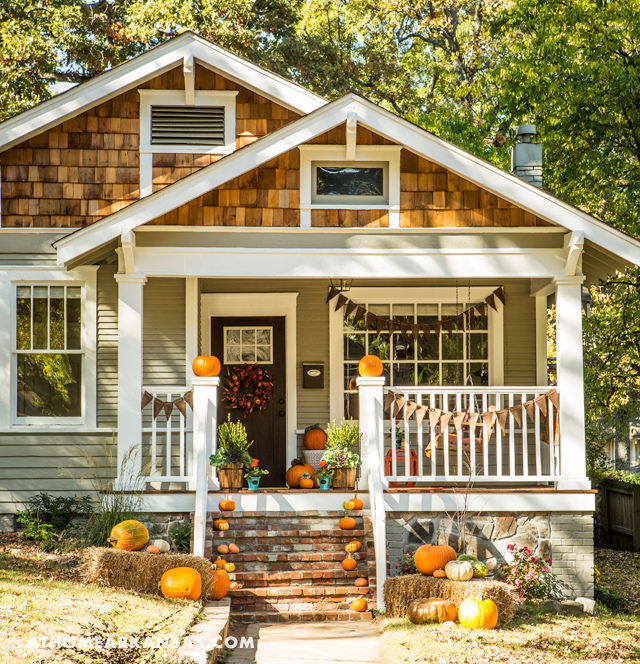 Home / Articles / Welcome to Fall! 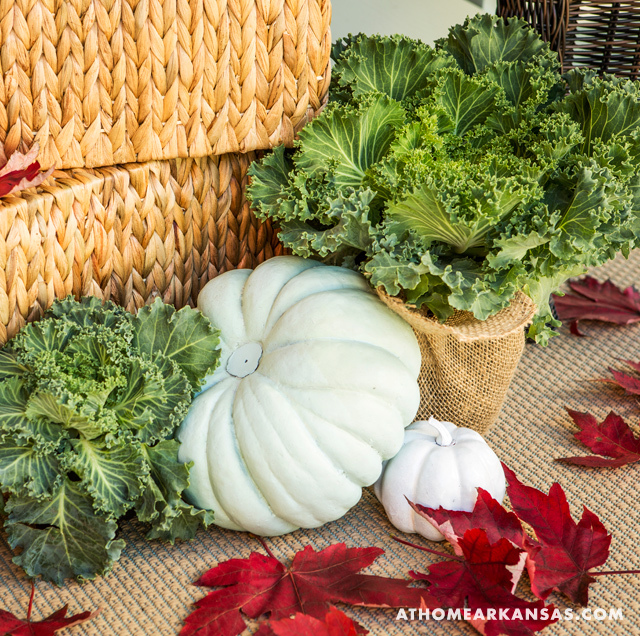 Her Fall Décor Philosophy: Fall is my absolute favorite time of the year! There’s just enough of a crispchill in the air that I think spaces should feel extra warm and inviting. 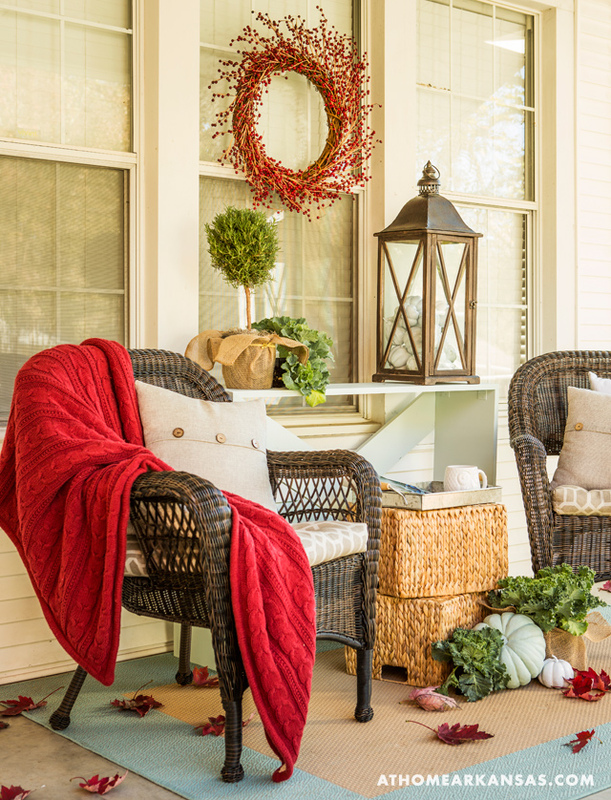 Your décor for this season should welcome everyone with comfort—like a big hug! My favorite way to achieve this vibe is to add some handmade elements. How This Look Matches Her Everyday Style: I think the common denominator between my everyday style and seasonal style is livability. My look is always inviting, never too perfect, and there’s usually a playful touch of whimsy. 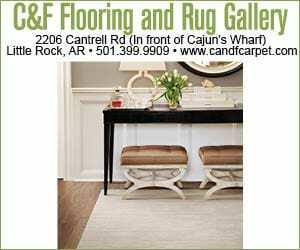 Special thanks to Arkansas Yoga Collective (arkansasyogacollective.com) for use of their Kantha quilts and pillows and Cynthia East Fabrics (cynthiaeastfabrics.com) for use of the area rugs. 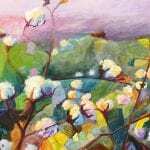 Learn more about Kathryn and see her work at kathrynjlemaster.com. 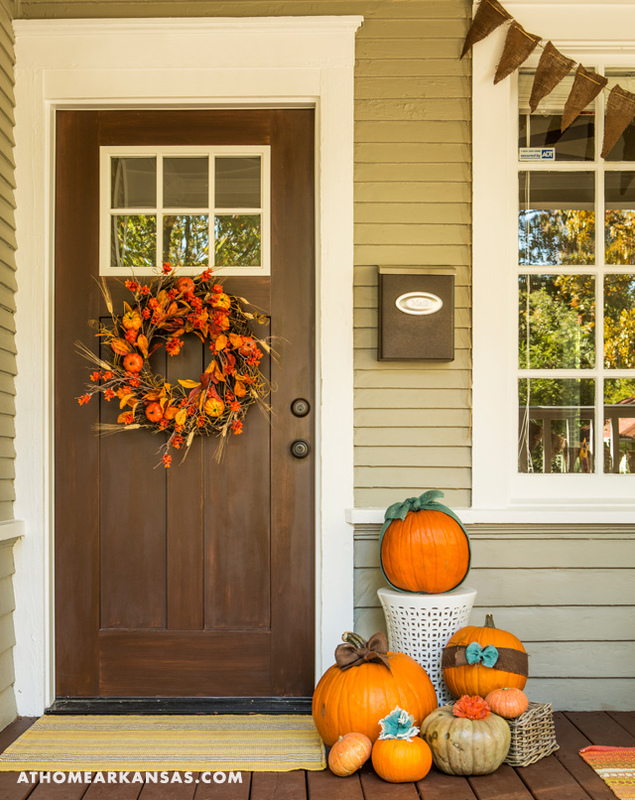 Her Fall Décor Philosophy: Life is busy, and while I love to decorate for every season, I need my décor choices to be relevant for more than a week or two. Fall decorations that can easily transition into holiday or winter décor are my favorite finds. What She Did: As a DIY and home blogger, I love having the opportunity to inspire others to mold their surroundings into a space that they can be proud of—no matter what the budget may be. I built a super-simple accent table from just a few 1- x 8-inch boards and used it to create a backdrop for the seating area. Next, I painted gourds in shades of white and pale blue for a colorful and playful take that’s a bit different than the season’s traditional colors. 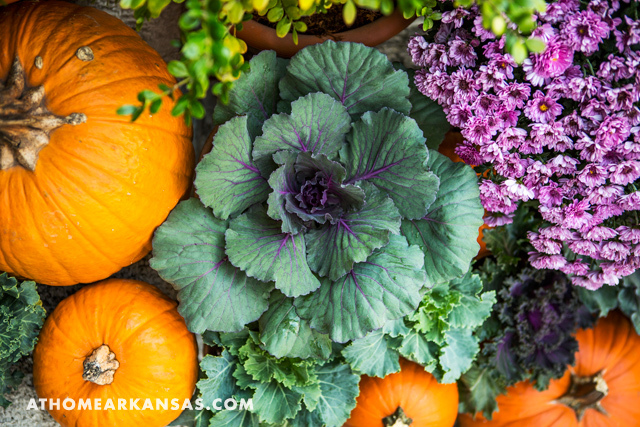 Ornamental kale plants and a rosemary topiary add a hint of green that’s natural and seasonally appropriate. Fall Staple She Returns to Each Year: Lanterns. 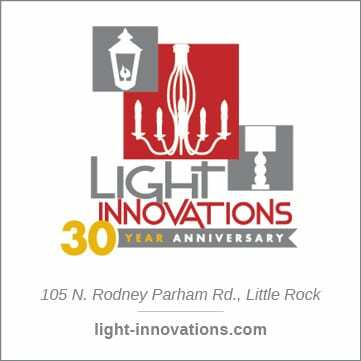 They are so versatile and can be used year-round. I usually opt to either fill them with seasonal items, like the miniature white pumpkins I used here, or keep it simple with a pillar candle. 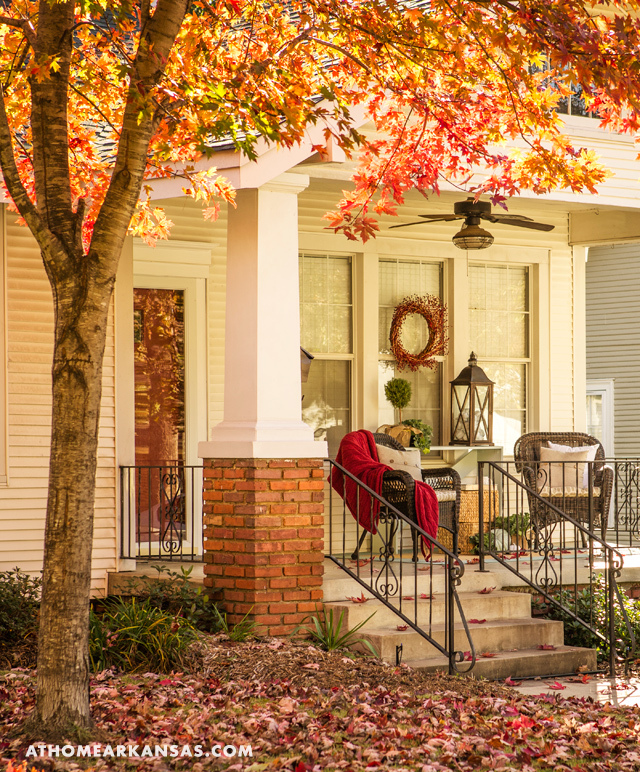 Her Fall Décor Philosophy: As the seasons change, so does the exterior of our home. 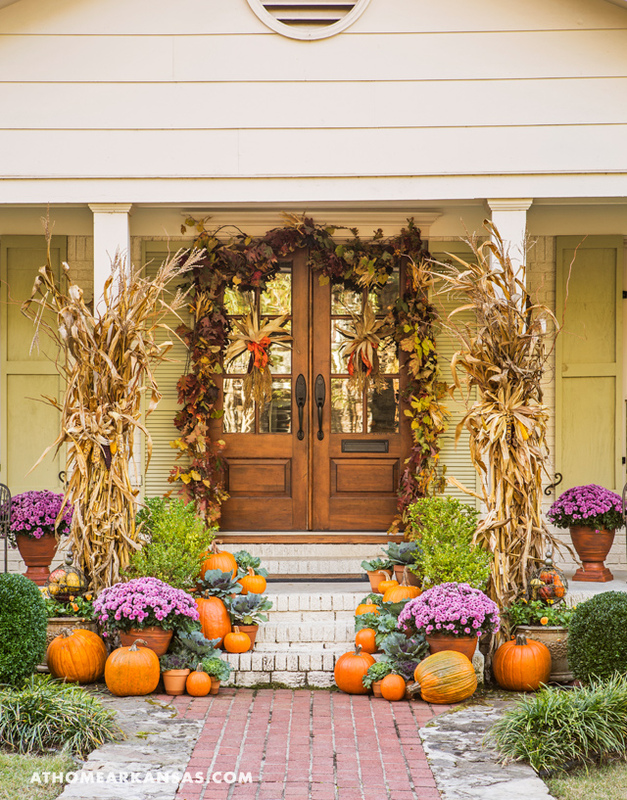 During autumn, I like to introduce warmer tones along with traditional elements such as pumpkins, gourds, and garlands of fresh fall leaves to add a layer of warmth and comfort. What She Did: I absolutely love displaying cornstalks each year, and the four columns on our front porch provide the perfect backdrop. 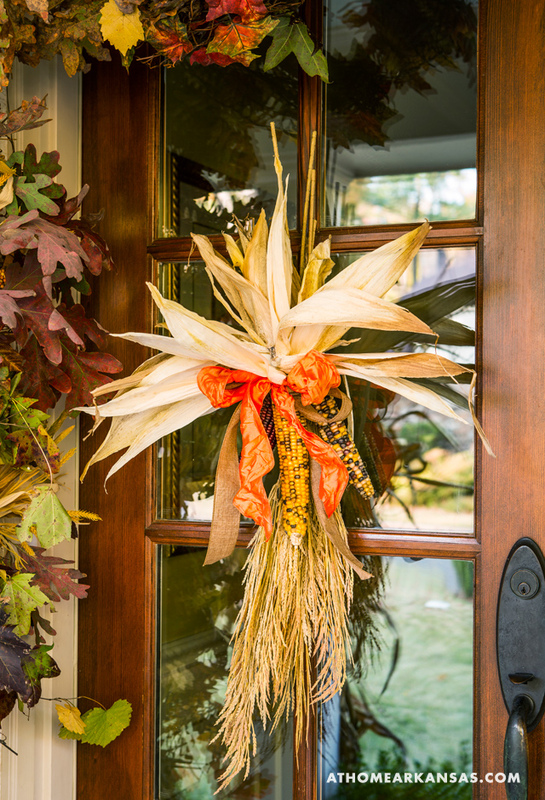 Bunches of Indian corn displayed on our front doors are a nod to my childhood and adding wheat tied with vibrant orange ribbon makes it my own. I also add tons of mums, pansies, ornamental cabbage, and garlands of fresh fall leaves to continue the natural, layered look. How She Keeps Her Autumn Entry Design Fresh Each Year: The purple mums are a new addition to our fall décor this year. This fun pop of purple blends beautifully with the foliage of the ornamental cabbage. 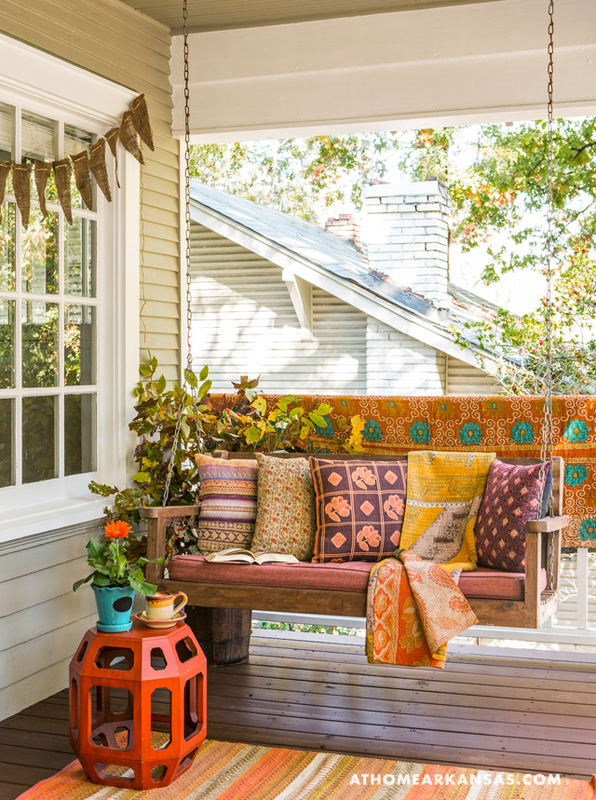 An unexpected color—mixed with your go-to décor staples—can give you a refreshed feel from year to year.